Science experiments to learn about the sun, soil, and water! 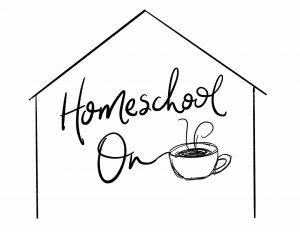 You are here: Home / Homeschooling / Science Experiments to learn about the sun, soil, and water! These are awesome! These last few months we have been working on our Environmental Scientist unit in our Nancy Larson Science 1 curriculum. We have been learning all about the sun, soil, and water with hands-on lessons, science experiments and fun workbook exercises too! 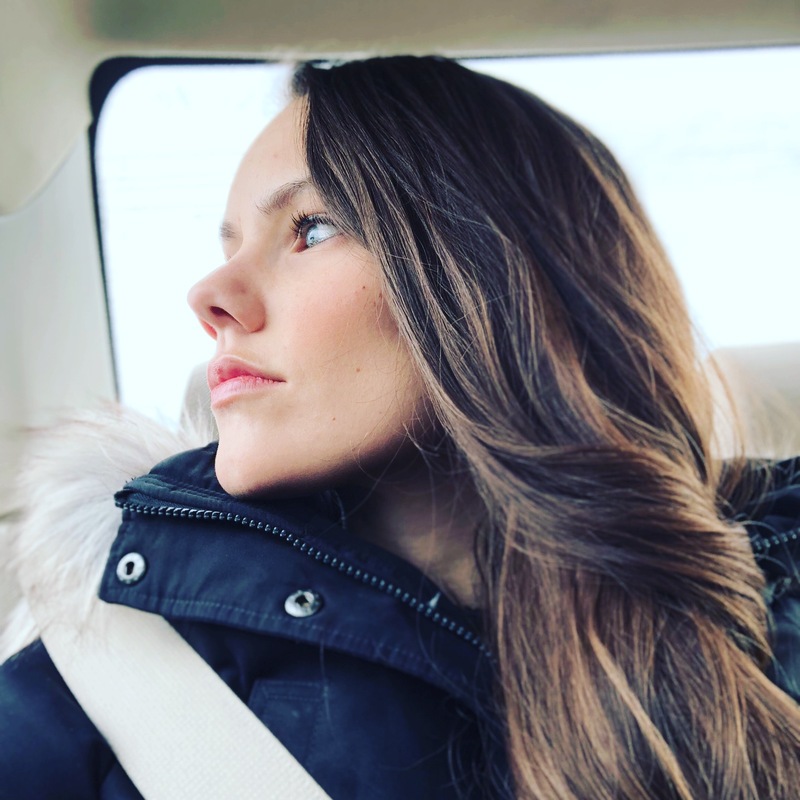 If you haven’t heard of Nancy Larson Science before, you may want to read my initial post, which explains the program in more detail here. It explains the grade 1 curriculum, shows what is included in the curriculum, etc. 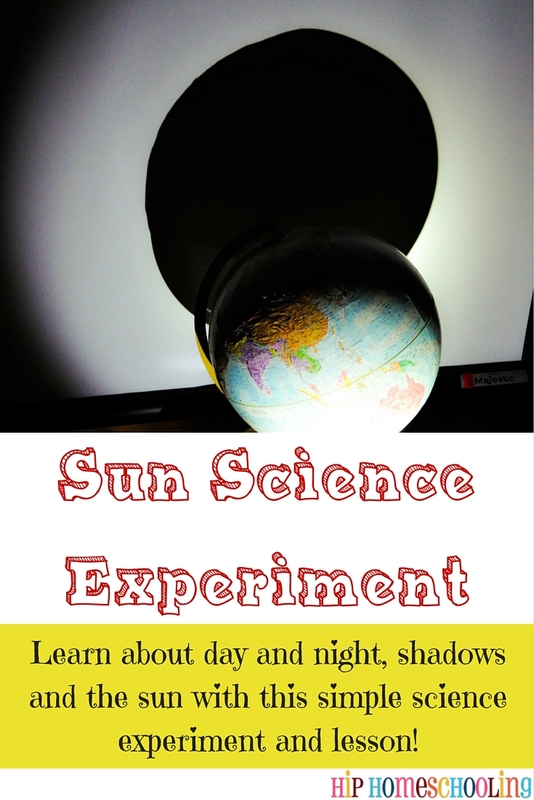 All about the sun science experiments for kids! The first thing we learned about was the sun. We talked about what the sun gives us (light and heat) and learned how the sun relates to day and night on earth as well as the seasons. We took it a few steps further and did a little study on the orbit of the planets/earth around the sun, how that works. We found some GREAT videos to watch, check out this one! If you can get past the hilarious accents, corny background music and such, the kids really enjoyed it and it is full of information. We also really enjoyed this little video song of the solar system. It is simple, it goes over a few key features of each planet in the solar system and helps the kids learn the order at the same time! I thought it was really well done! The kids drew a picture of something they enjoy doing in the sun in their student booklet and we got to pull out our globe and a flashlight to do some little science experiments. Try it at home! All you need is a flashlight, globe (or any spherical ball would work), and a dark room. Get one of the kids to shine the flashlight on one side of the sphere/globe and observe what is happening on the other side. Discuss how the earth rotates and day/night happen as the earth turns on it’s axis. You can use videos or discussion. It was one of our favorite lessons in the book so far and sparked a TON of great discussion on the planets! Pin this image if you want to remember this experiment for later! All about water science experiments for kids. The next thing we learned about was water. The topics covered in this unit were: the different forms of water (bodies of water, rain water, snow, and ice) and how human beings use water. We made some fun star ice cubes and logged how long it took for ice to form from the water and what temperature. We then decreased and increased the temperature on our freezer by a few degrees to compare how that effected freezing time. Next we looked at different temperatures by location. For example, where we used to live temperatures got to about -20, we calculated how fast water would freeze based on our answers and how that would look different where the kids’ cousins live where it gets as cold as -40. There are SO many different science experiments and activities you can do to create hands on learning activities with water. 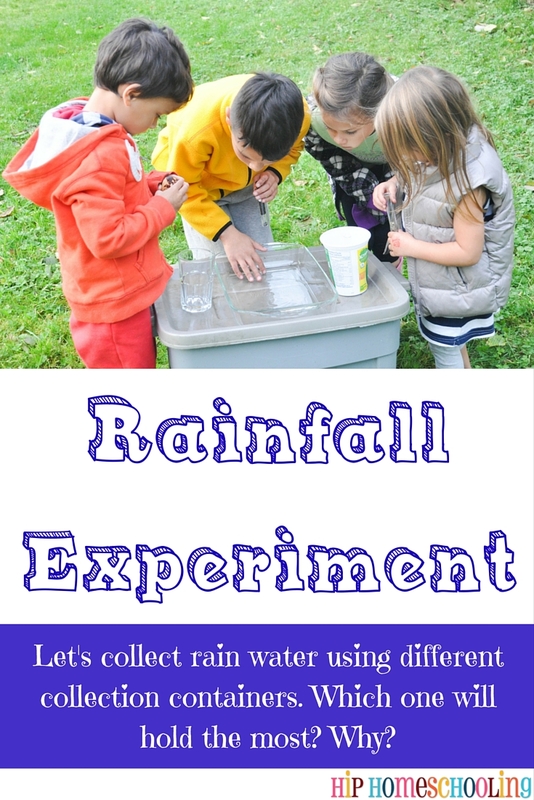 One of the most applicable science experiments in our environmental scientists unit was the rain water collection experiment. We pulled out three clear, glass containers in a variety of sizes and set them outside. The kids chose a small test tube (which we held upright in a yogurt container of rice), a large glass baking pan and a drinking glass. We set them outside and, as we live in the land of rain, we didn’t have to wait long to test our theory. Each kid had to come up with a theory of which container would collect the most rainwater and why. Of course this was easy for my older two, but the younger ones had lots of questions. This is a great science experiment for this time of year. It is easy, you don’t need any special equipment and you can use it as an opportunity to do math at the same time! Afterwards, although it was clear the glass pan collected the most water, we poured all of the water into measuring cups to measure the amount of water collected. We wrote it down in our journals and compared the differences. Make sure to pin these science experiments so you can come back to it later! 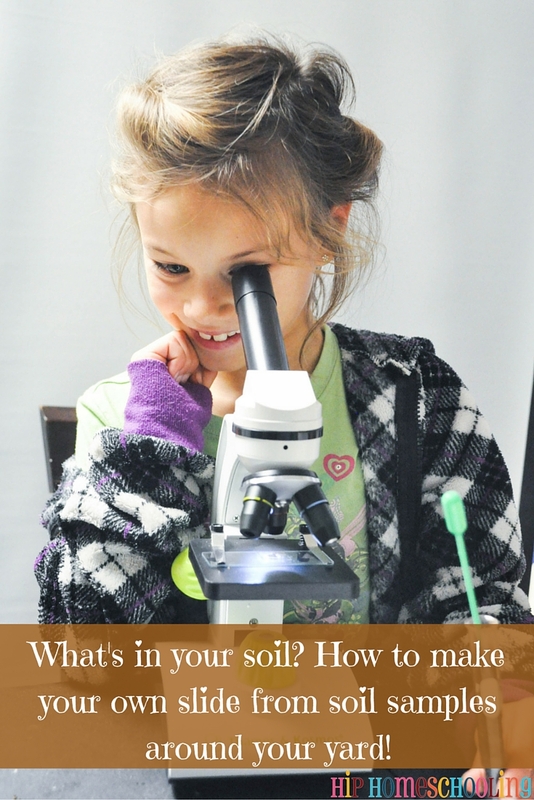 All about soil science experiments for kids. The last mini unit in our environmental scientists booklet with Nancy Larson Science was the soil unit. We discussed topsoil and what animals and insects might live there. We also took some soil samples to investigate. Our lesson asked us to look at the soil through our magnifying glass and see what we could find in topsoil around us, but with older children we decided to take it to another level and pulled out our microscope! We gathered soil from three separate locations around our yard and looked at a small scraping in our microscope to compare them. We found that living near the ocean, no surprise, our soil has a lot of sand in it. There are areas in our yard that have less sand, and other areas that have more. There are sections in our yard that are sand “pits” that have been placed there specifically to help with water drainage because of the amount of rain water we get here on the west coast. It was a fun experiment and whether you have a microscope or just a magnifying glass, it is well worth the adventure to compare soil samples from different locations around you. Make sure to pin this image for later! Science experiments, scripted lessons and detailed student booklets with Nancy Larson Science. If you are wishing you had a curriculum that incorporated all of these fun activities without you having to think about it, you NEED to check out Nancy Larson Science. 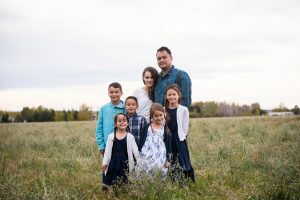 A 1 year curriculum through them includes everything you need for the hands-on aspects of your lessons and the teacher’s guide is well laid out, easy to use, and scripted (you LITERALLY read from the book and it is written for your children). 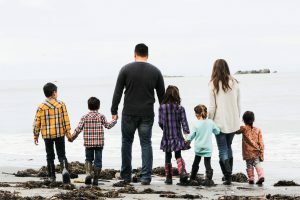 It requires little to no prep, the kids are doing fun, hands on, age appropriate science experiments while also getting in-depth lessons and having a science booklet to show what they have learned at the end. It really does have everything I need in a science program, and most importantly I can use it with all of my children. We are still finishing up the grade 1 science and our children are grade 3, 2, and 1 this year. They all enjoy it, we go a little more in-depth for some of the lessons, but it is a great base for us and covers most of our learning outcomes! this post contains affiliate links for your convenience. Click for more details.